Want to live in a 3D printed house – you’ll have to wait 24 hours! When you begin househunting, you resign yourself to the fact that it’s a lengthy affair. The overcrowded housing market means that it takes years to save enough to buy a house, months to find somewhere to rent and even longer if you’re waiting for a new-build to be completed. 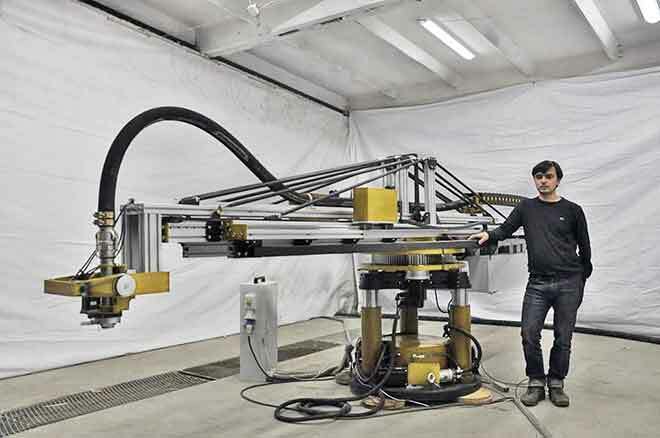 Imagine, then, the joy of being able to build yourself a 3D printed house in just 24 hours! Homebuilding is usually a dusty, back-breaking and expensive activity. But a 3D printing company called Apis Cor is trying to change all that, by successfully creating a 3D printed house in just one day. The San Francisco and Russian based Apis Cor was the brainchild of inventor Nikita Chen-yun-tai. Driven by the housing shortage across the world, Nikita tried to find a way to speed up the sluggish construction industry. The 3D printed house phenomenon has been rearing it’s head over the world. What makes Apis Cor’s different, however, is that each part of the house is printed on-site. This saves on the cost of transporting each separate 3D printed house piece to the construction site. Once each component of the house is printed, Apis Cor’s mobile printer is removed from the site by a crane-manipulator. The house is then topped with a roof and the interior fittings and fixtures are added manually. Using this technology, you have little need for traditional builders and carpenters. This means your cost of manual labour is kept at rock-bottom. Built in partnership with Russian homebuilder PIK Group, Apis Cor’s first concept house was built near Moscow, using this method and only $10,134 worth of materials. The house, measuring 409 feet, is open plan and was purposely built with an unusual shape, to showcase how flexible the printer can be. This opens up a great opportunity for architects and homeowners alike. You can print – and be king of – your very own castle! Because Apis Cor’s houses are so cheap and efficient to build, it won’t just help first-time buyers get onto the property ladder, it could provide emergency housing in crisis-hit areas as well. 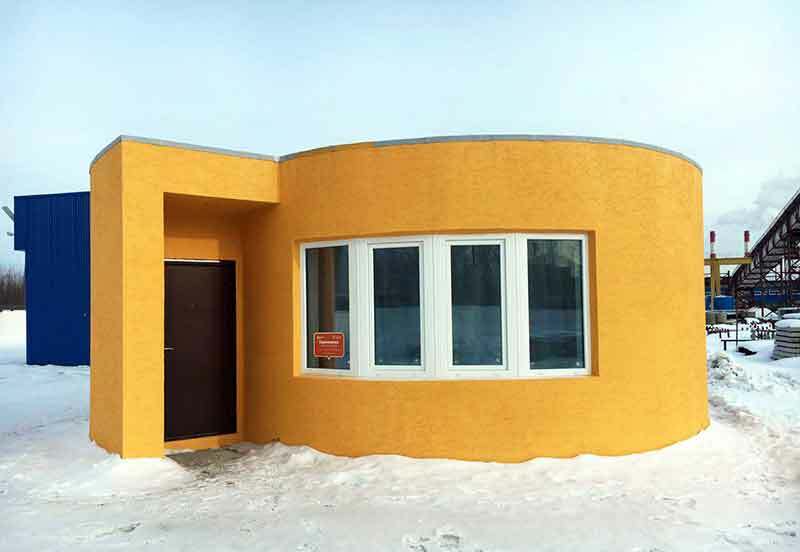 The 3D printed houses are also expected to last for up to 175 years. Not bad for a building that cost just over ten grand to build! To put this into perspective, with mainstream adoption of this technology we’ll be able to build a house a day that will be able to house a family for almost two centuries. The houses are also more environmentally friendly than traditional counterparts, producing zero construction waste according to Apis Cor. At the moment, however, the houses do have some limitations. To finish off the house, you’ll still need some people to paint and insulate the walls. The houses also cannot stand higher than three storeys tall, so your personal skyscraper will just have to wait. In interviews, Nikita Chen-Yun-Tai has previously expressed his ambition “to automate everything” using robots to replace human labourers. Following the successful test house in Russia, Apis Cor now looks to print 3D homes on all seven continents – and even Mars! Nikita states that eventually there will be no more room on Earth and humanity will have to colonise Mars. When that happens, Apis Cor plans to be there, with their 3D printer already on-site.